This high quality 72"x72"/183 x 183 cm decorative shower curtain is made of 100% polyester, and hangs nicely from the reinforced button holes. This shower curtain includes a printed front, blank back, decorative shower curtain Hook. Shower rod,Bath Tub are not included. 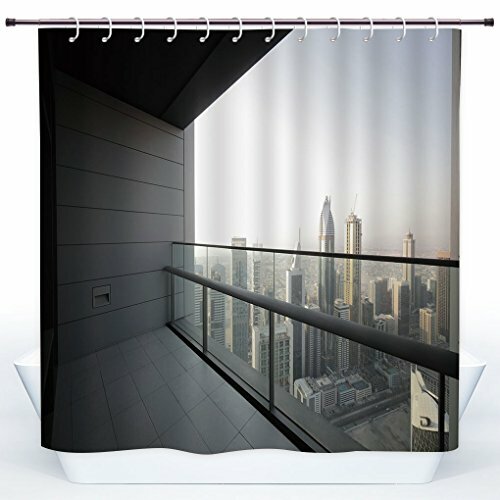 CUSTOMIZATION SERVICE:We provide shower curtains personalization customization service.You provide us any image you like, and we will put it on your own shower curtains.You can also download image from a gallery of images:depositphotos.com,www.shutterstock.com,www.123rf.com.If you want to CUSTOMIZE your own shower curtains.If you need further assist, please contact us via email:service@scocici.com.